These pictures are dated August 24th! I can't believe it was that long ago. This was my brother's Winnie the Pooh costume, my baby brother. And he'll be 17 in a few days. I can't believe it is that old. We don't really celebrate Halloween but I'm all for imagination and dressing up as long as we keep it pretty positive. So I pulled this costume out and Simeon had fun with it. I need to put it somewhere where he can access it, because he'd probably like to wear it again. We loved dressing up as kids, and we definitely didn't have any fancy dress up clothes. I would like to have a dress up box or something for Simeon but our house seems kinda crazy right now and his closet is pretty packed. If we drop something or his lovey falls "Oh dear"
Recently, he taps his cheek and says "think, think, think"
We have a book that is modeled after the classic stories about Pooh in the snow, not the adult favorite around here. It's a bit cliche, but Simeon loves it and they mention drinking hot tea. So he is into hot tea, I actually got him a manly enameled steel blue tea set for St. Nicholas day and he makes us hot tea. 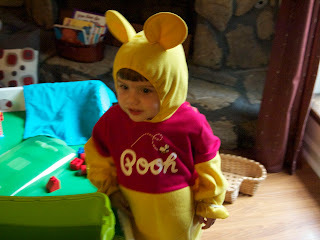 I guess many kids love Pooh, Daniel and I particularly love to read the A.A.Milne version "big big Pooh book" but it is a bit wordy and doesn't have many pictures. Simeon requests it often, but drives us a little nuts because he'll hardly let us read it. It is absolutely hilarious, at least to us and I hope Simeon grows into it some day. 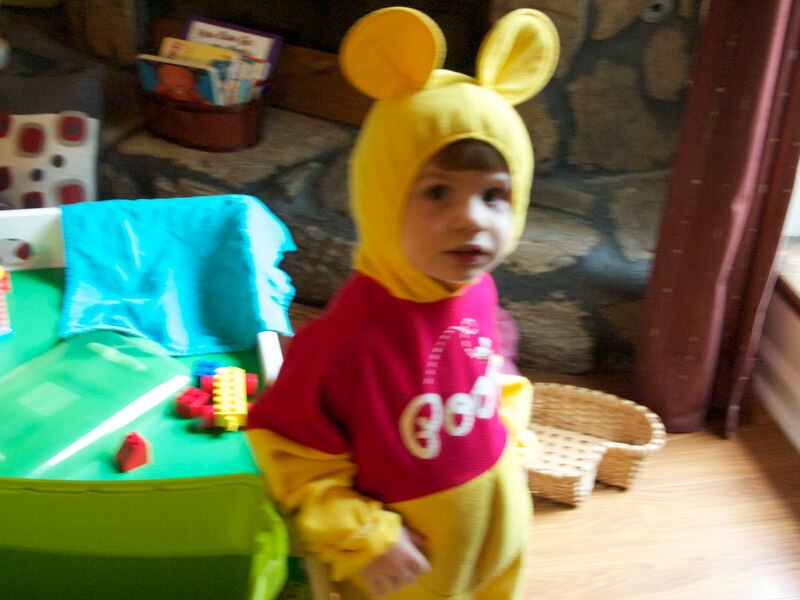 I like that he loves one of the classics and I prefer Pooh to Richard Scarry, his other favorite books. Not that I really dislike Richard Scarry it's not my favorite and we're a bit burned out. But I am glad he lets us read. It took us a while to get to the point where he would settle down enough for a book. 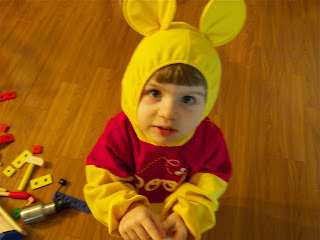 My little Pooh Bear seems to be growing up so fast, I'm savoring these sweet little moments.